Nancy A. Boylan, 86, of 351 South Willow Street, Mt. Carmel, and formerly of Strong, passed away Tuesday, March 26, 2019 at the Mt. Carmel Senior Living Community. Born on October 16, 1932 and raised in Strong, Nancy was the daughter of the late George and Adele (Stanker) McCabe. She was a 1950 graduate of the former Mt. Carmel Township High School. On June 11, 1951, she married James J. “Duly” Boylan who preceded her in death on October 1, 2007. Nancy was employed as a secretary for the Mt. Carmel Area School District and also for Northumberland County before her retirement. She was a member of Our Lady of Mt. Carmel Parish and the Strong Fire Company Auxiliary. She will be greatly missed by her family, friends, and neighbors at the Willow Court Apartments. Nancy leaves behind her son James Boylan and his wife Helene of Shady Acres; one granddaughter, Erin Kathleen Lokhandwala and her husband Dr. Parvez Lokhandwala of Lutherville, MD; one great-grandson, Flynn Lokhandwala; one brother, John R. McCabe of Kulpmont; one sister, Lois Kemper of Kulpmont and numerous nieces and nephews. A Mass of Christian Burial will be celebrated on Saturday, March 30th, 2019 at 10:30 am in Our Lady of Mt. Carmel Church, Mt. Carmel with her nephew the Rev. John Kemper as main celebrant and Rev. Francis J. Karwacki as concelebrant. Interment will follow in All Saints Cemetery, Ralpho Township. A viewing will be held from 9:00 am until 10:15 am at the Joseph J. Stutz, Inc. Funeral Home, 40 South Market Street, Mt. Carmel, Joseph J. Stutz, III Supervisor. In lieu of flowers expressions of sympathy can be made to the Mt. Carmel Area Rescue Squad, P.O. Box 372, Mt. Carmel, PA 17851. Please sign the guestbook at www.stutzfuneralhome.com. 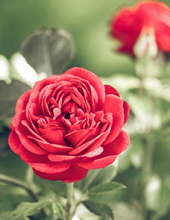 To send flowers or a remembrance gift to the family of Nancy A. Boylan, please visit our Tribute Store. "Email Address" would like to share the life celebration of Nancy A. Boylan. Click on the "link" to go to share a favorite memory or leave a condolence message for the family.